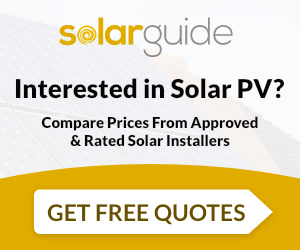 When it comes to the best type of roof for solar panels, the truth is that the majority of roofs on UK homes are suitable for solar panel installation. This is great news for anyone looking to generate their own electricity, lower their energy bills and reduce their home’s impact on the environment. We took a look at some of the frequently asked questions on roof requirements for solar panels to help you make the right choice. If you’d like to speak to one of the approved MCS solar installers on our network for advice and free no-obligation quotes, send us an enquiry today. We’ll put you in touch with up to 3 solar installers in your area. Which Direction Should My Roof Face for Solar Panels? The best type of roof for solar panels is a south facing roof as they tend to generate the most electricity from solar panels. South facing roof panels see the sun when it is at its most intense for the longest period of time, which is why they generate the most energy. However, this doesn’t mean that east or west facing roofs can’t also be suitable for solar panels. If your roof faces another direction as you can likely still see plenty of benefit from installing a solar array. East and west facing roofs are also suitable for solar panels and will still see a good deal of energy generation throughout the course of the day. For example, an east facing roof will be exposed to sunlight in the morning whereas a west facing roof will take in more sunlight in the afternoon and evenings. Unfortunately, it is not recommended that solar panels are installed on north facing roofs in the UK as they perform poorly in comparison. What’s the Best Roof Pitch for Solar Panels? The best roof pitch for solar panels is between 30-40°, but the angle of the roof can fall outside of this range and generate electricity effectively. Solar panels can still absorb sunlight even when horizontal. However, solar panels which are more below 12º from horizontal won’t be able to self-clean and may become less effective if dirty. Is My Roof Big Enough for Solar Panels? My Roof is Shaded, Will Solar Panels Still Work? Shade can really diminish the amount of power that solar PV panels can generate and even damage them! If your roof has a lot of shadows cast upon it for long time periods you may want to look at other solar options (for example ground mounted). Installers will be able to assess your situation, potentially perform a shading analysis and offer advice on the best way to proceed. You can learn more about choosing the best installer in our handy guide. What Material Should My Roof Be Made From? The material your roof is made from may impact the cost of installing an array, however a solar PV system can generally be installed on most roof types. One of the most important factors you will need to consider is how strong your roof is. Installers should carry out a structural report to assess this and likely recommend strengthening if your roof requires it. You can read more about this in our guide to questions you should ask your solar installer. Will I Need Planning Permission to Have Solar Panels Installed? Generally home owners do not need planning permission to have solar panels installed. If you live in a conservation area or if your house is listed you may need planning permission in some cases. Even roofs which don’t fit the ideal requirements can still be suitable for solar panels. You will find that solar installers will advise slightly differently about the best way to maximise energy generation, and can recommend additional technologies you can use to boost your supply. If in doubt, find a few solar companies to carry out a survey on your roof and give you projections for how much electricity you’ll be able to generate in an average year. You can then work out how long the ongoing electricity savings will take to pay you back on your investment. To find MCS accredited solar installers near you send us a quick enquiry today. We’ll match your needs with approved solar installers who will provide their most competitive quote. All quotes are completely and free and you’re under no obligation to take any of them any further, but you may find you can save money on your installation by comparing quotes.